Square - "On the Corner -- On the Square"
"On the Corner -- On the Square"
The Town Square was the scene of farmers’ markets, social gatherings, and even the first football game in the county’s history. 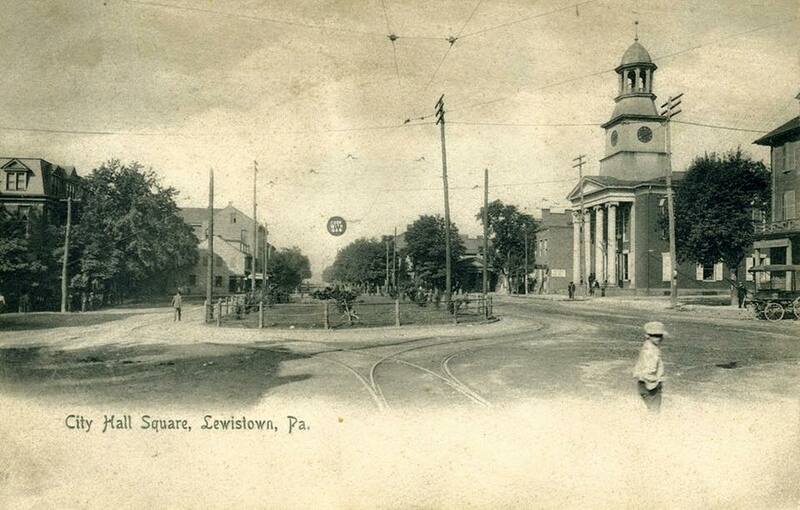 Eventually, the area of the Square became run down and concerned citizens beautified it with a fence and flower beds. 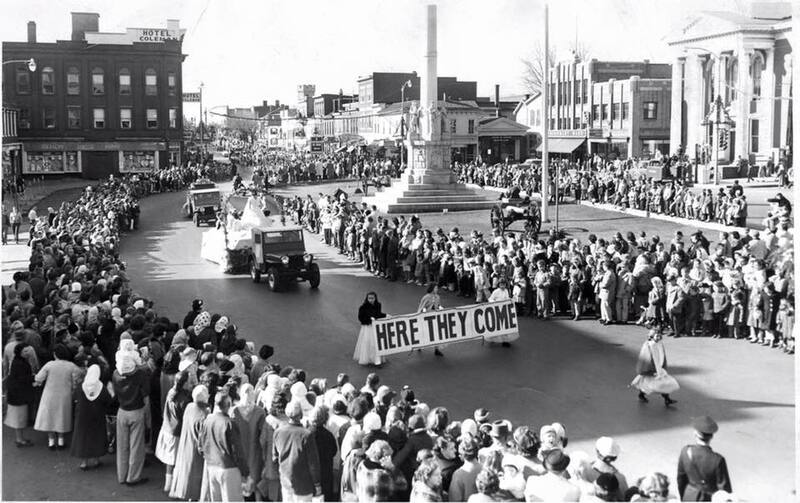 By the late 1800s, local citizens wanted to do something to honor the soldiers and sailors of the Civil War. George R. Frysinger, editor and publisher of the Lewistown Gazette, had editorialized for some time about the need for an improved downtown and a Civil War monument. 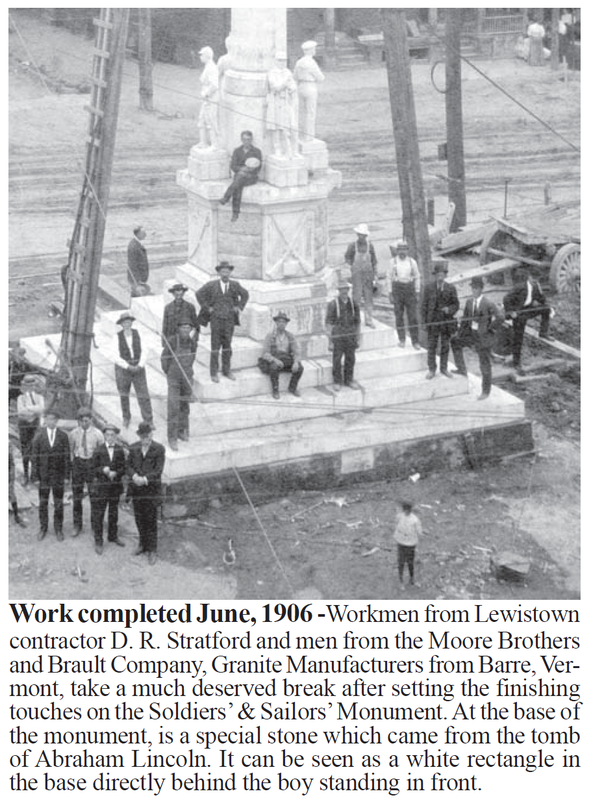 Interest in the project was hard to generate, but when the 1895 Lewistown Centennial was being organized, Frysinger spearheaded another push for this cause. With the inspiration and support of an old friend and county native, a committee was eventually formed and began to raise money for a monument by selling shares at $1 each. A quarter share could be bought for $0.25. 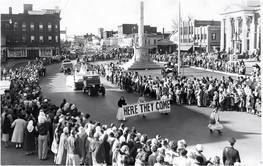 Taxes were also raised to help pay for the memorial. Each taxpayer was assessed $0.84 every year for five years. 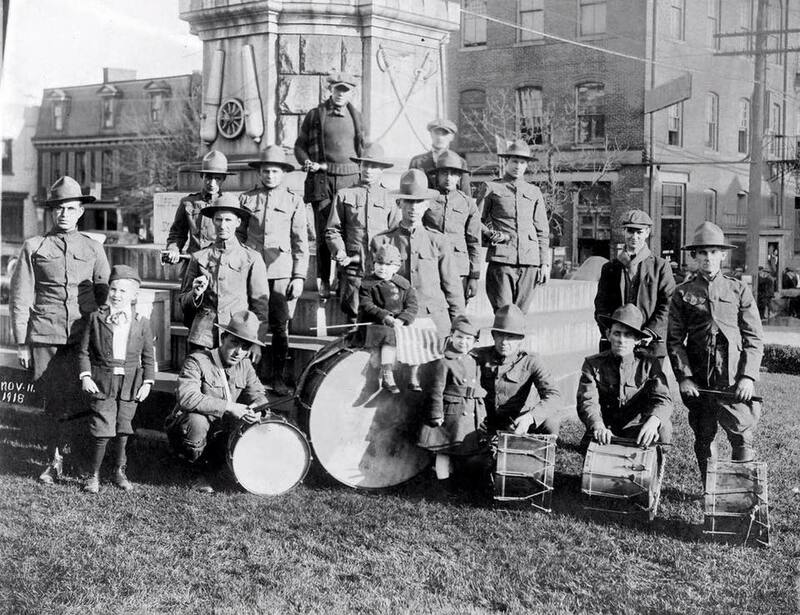 Finally, the $15,000 needed for the project was reached and construction began in 1906.
company to report to Washington in defense of the Union has not yet honored the memory of those who did not return. As a prominent Springfield resident, Hoover was involved with the Lincoln Memorial Foundation. 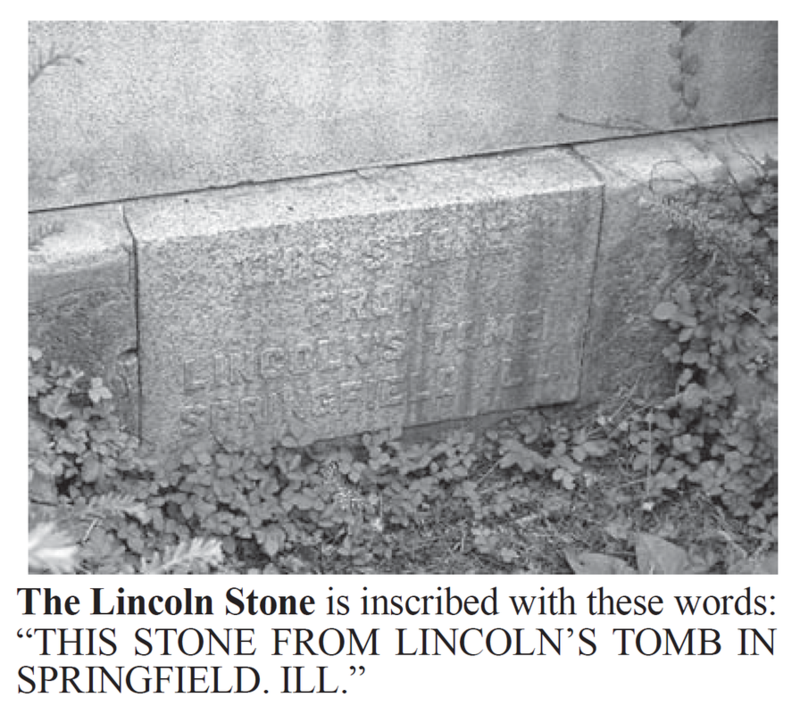 He requested a stone from the Lincoln tomb when it was being remodeled at the time. Maj. Hoover based his proposition on the fact that Mifflin County sent some of the first volunteers to answer President Lincoln’s call for troops to defend the Union in 1861.
square. The stone was placed in a street window of the Mifflin County National Bank on Market Street to aide the fund raising effort. Some individuals offered matching fund to spur interest, children got into the act saving pennies. United States coins for the five years of the war 1861 - 1865, plus an 1895 Lewistown Centennial medal. 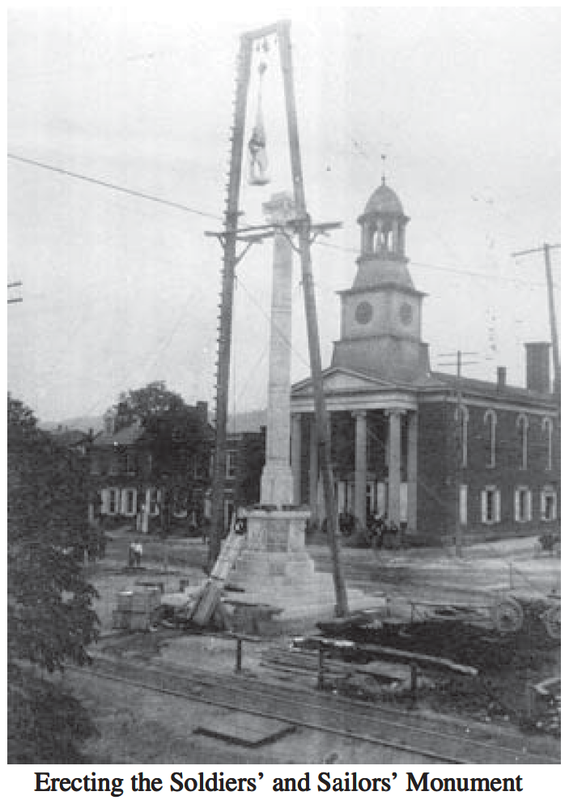 The Soldiers’ and Sailors’ Monument was rededicated in 1969, to become a memorial to all service people from Mifflin County who fought and died for the country. 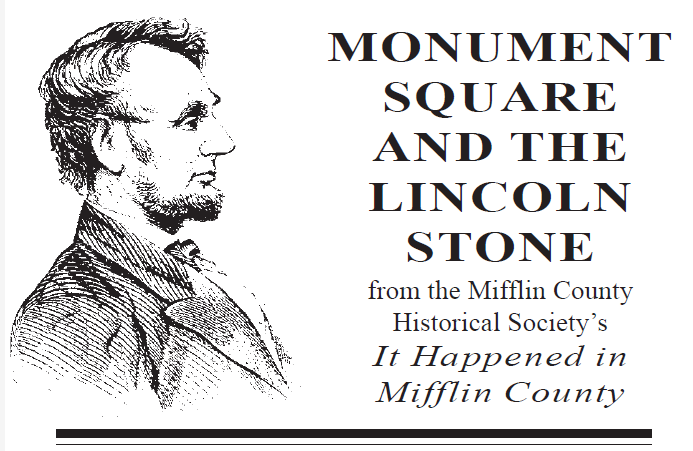 Information on this page provided by the Mifflin County Historical Society. Content of this page is protected by copyright law and may not be used without prior permission of MAB Holdings LLC.